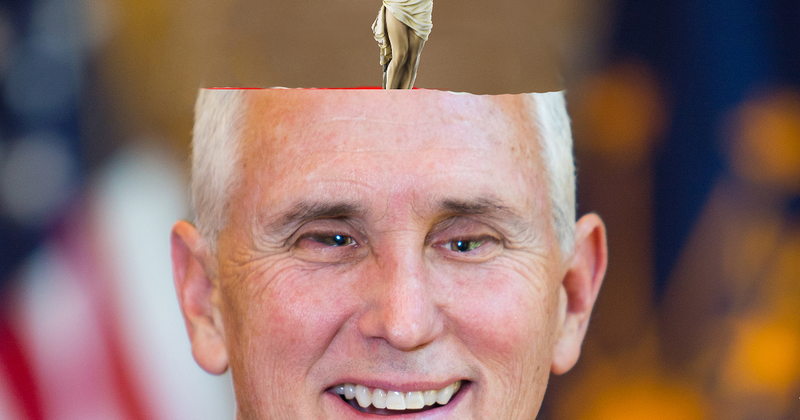 Mike Pence Brain Replaced with Crucifix! 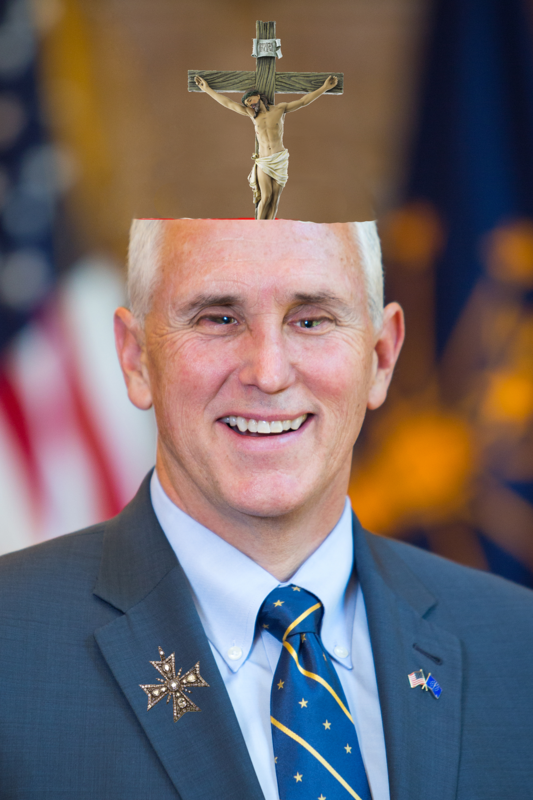 Mike Pence, Vice president-elect of the United States of America has today announced he will be the first Republican to have his brain entirely replaced with an idol of The Lord©. The surgery will be performed by a crack team of priests after doctors declined to operate saying ‘Idolatry is forbidden in the Bible’. Mike Pence is expected to make a full recovery with no decline in cognitive functioning. Prior to being appointed ‘Evangelical cheerleader’ by Donald Trump Mr Pence was famous for not understanding what a scientific theory was. He’s also a favorite of the billionaire Koch brothers who’s business models involve making the earth uninhabitable. Pence also enjoys removing LGBT rights supporting the rights of business to deny service to people based on their sexuality. Previous PostPrevious Daddy Wins US Election 2016!